Over a very exciting weekend of Universal Orlando Resort's event "A Harry Potter Celebration", more details were revealed of the Wizarding World of Harry Potter expansion. 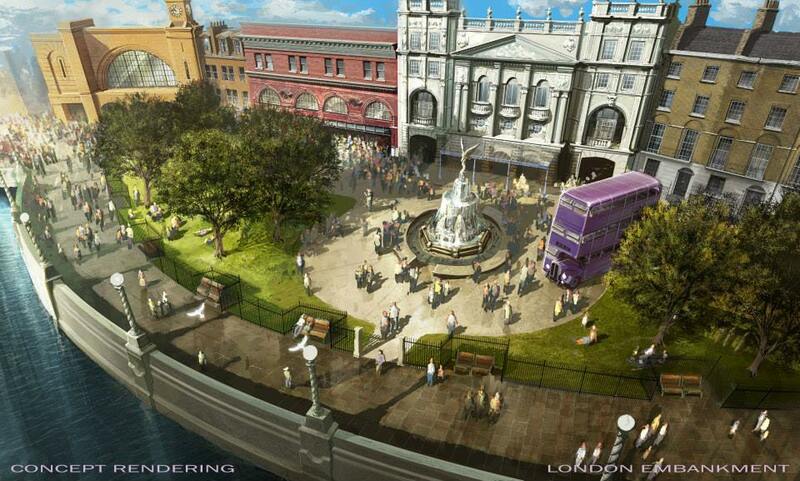 Opening this summer, the Wizarding World of Harry Potter will finally bring its expansion park Diagon Alley to life! Modern Day London sets up the Universal Studios skyline. Camouflaged behind the iconic brick archway, guests and Harry Potter fans will have the wondrous opportunity to cross over from the Muggle landscape to their magical home of Diagon Alley. Rumored still is that fans will be able to walk down Knockturn Alley as well. Fans remember and know this area well from Harry's accidental visit in Chamber of Secrets. Features rumored to be included Borgin and Burkes - a shop specializing in the Dark Arts that will offer a wide variety of Death Eater masks, skulls, and other sinister items. 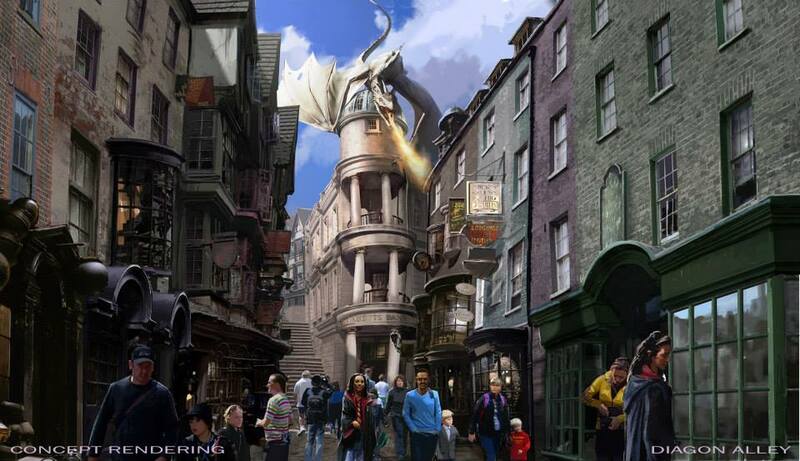 A new ride called Harry Potter and the Escape from Gringotts will be "a multi-sensory, multi-dimensional journey that will take theme park attractions to a new level. The thrill ride will place riders in the middle of an incredible adventure as they navigate their way through the perils of the Gringotts vaults." Fans cannot forget the first meeting of the golden trio Harry Potter, Hermione Granger, and Ron Weasley that took place on the famous Hogwarts Express. 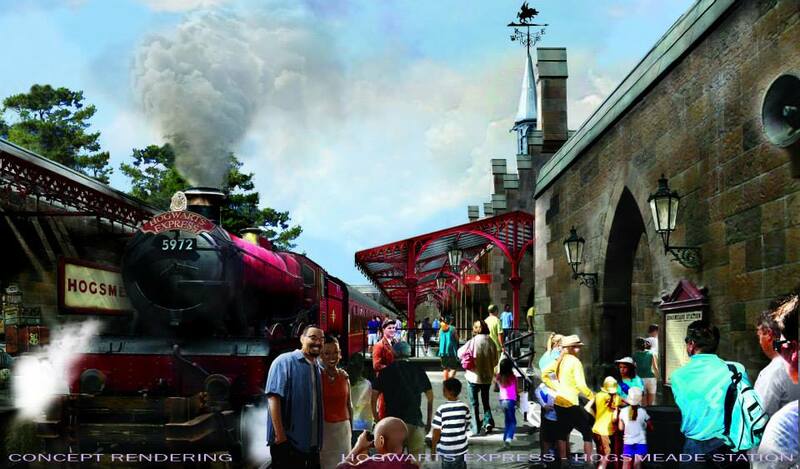 Dreams will come true as guests will be able to board the train and travel between the Wizarding World of Harry Potter - Hogsmeade at Islands of Adventure and The Wizarding World of Harry Potter – Diagon Alley at Universal Studios. Long confirmed on their train ride to Hogwarts, passengers will enjoy scenic views of London, the British countryside as well as surprising appearances by favorite characters. A long awaited question to be answered is whether or not guests will need passes to both parks. It has been confirmed that those wanting to travel from Islands of Adventure to Universal Studios Florida, or vice versa, will need park to park admission. 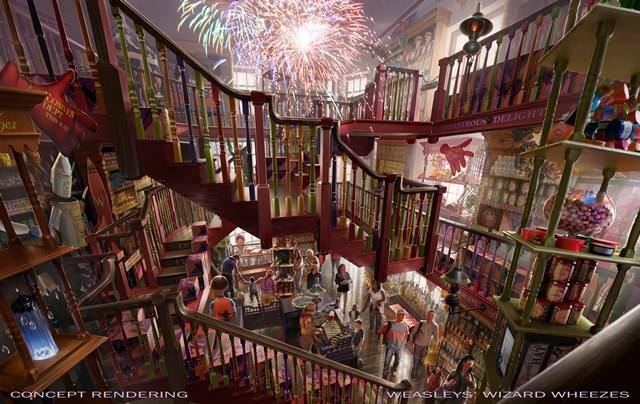 One of Diagon Alley’s shops is Weasleys’ Wizard Wheezes - a vibrant shop featuring novelty items, magical jokes, and toys inspired by the books and films that will amaze the mischievous child in everyone. Snitch Sneeker revealed that some of the items sold will include: Professor Umbridge on a unicycle, nose-biting teacups, decoy detonators from Deathly Hallows, and of course the Weasley favourite, Skiving Snackboxes. 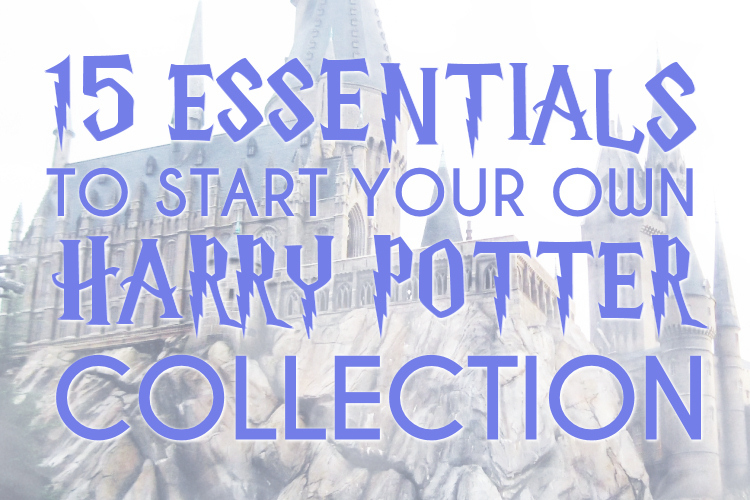 While checking off items on their supplies list for Hogwarts gear, fans will be able to explore several the wonderful shops and dining restaurants mentioned in the books and films. 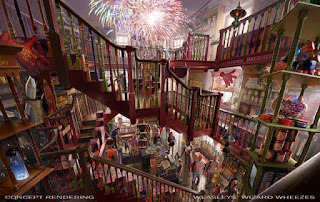 At Wiseacre’s Wizarding Equipment (pictured above), one of the shops located in Diagon Alley. Here, guests can pick up items such as telescopes, binoculars, armillary spheres, compasses, magnifying glasses and hourglasses. • Scribbulus, featuring authentic writing implements and products such as feather quills, ink and inkwells, bookmarks, journals, parchment paper, seals, stationery sets and postcards. Thank you so much for sending your owl to Potter Talk! 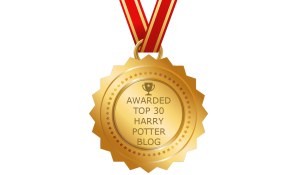 Welcome to PotterTalk.net My name is Katy, and I'm a Gryffindor blogging the magic of all things Harry Potter. 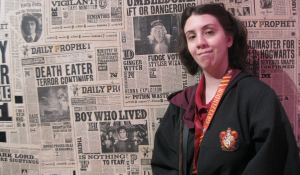 Here you'll find my muggle adventures, news about the books, movies, spin-offs, and theme parks! 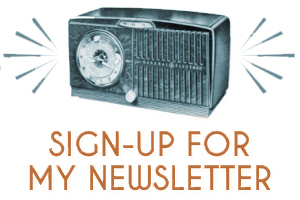 Learn more by starting here!